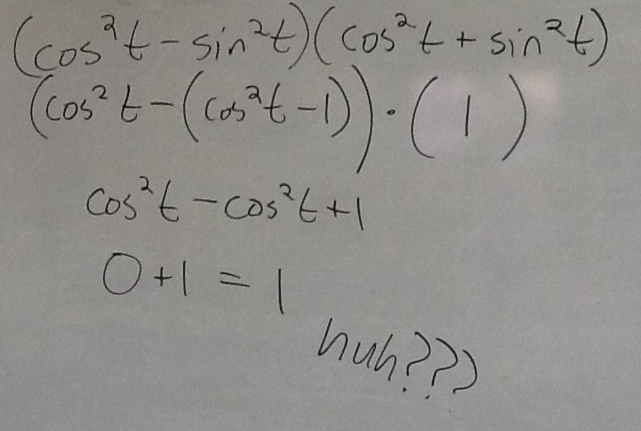 Posted in Feedback, Law of Sines, Trigonometric Functions. Courtesy of Tina Cardone and presented without comment. 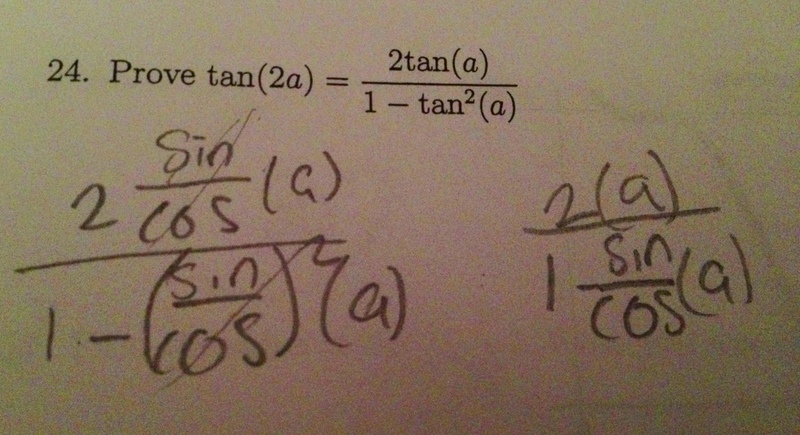 What do these responses reveal about what the students know about trig? Or just comment about what you find interesting here. Thanks to the Incredible Tina Cardone for the submissions. What’s the fastest way to help this student? Do you have a good way to help students understand the rigor needed in these sort of proofs? How would you help these students? Thanks to Tina Cardone for the submissions. Head over to the Productive Struggle blog for further analysis and discussion of these questions. 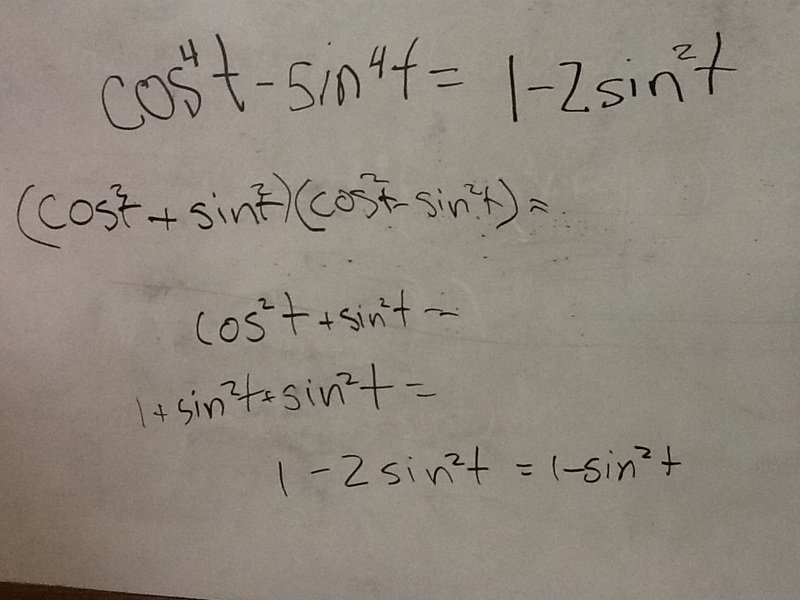 Posted in Inverse Trig Functions, Trigonometric Functions. 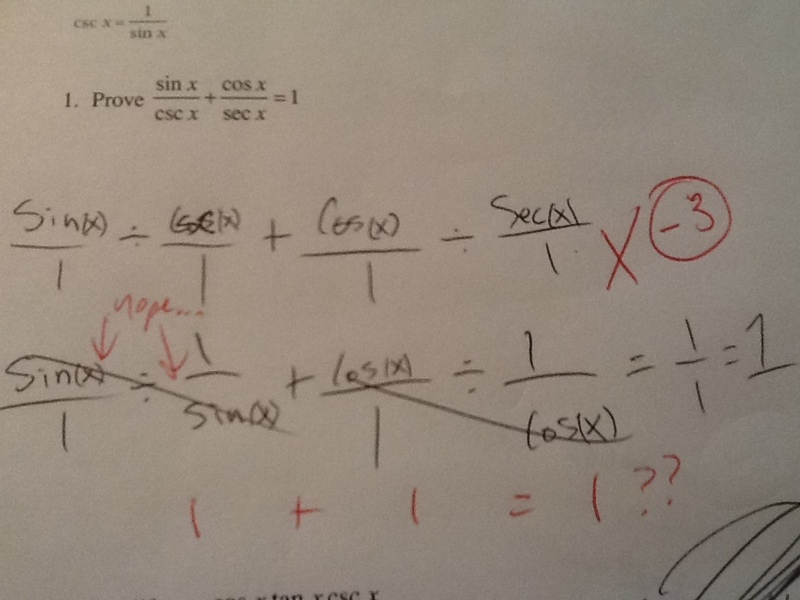 Are there any other mistakes that you would expect students to make on this problem?